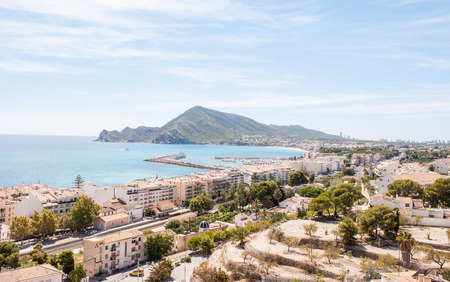 Altea holidays take you to the sun-bleached shores of the Costa Blanca, just ten miles from Benidorm. It is a relaxed resort which has retained its traditional atmosphere. Although summer is the busiest season, holidays to Altea can be taken at any time of year as the summers are long and hot and the winters mild. Even though there is pebble beach, holidays in Altea attract many families, as well as couples of all ages. The gentle lapping of crystal clear waters provide safe bathing for children and less confident swimmers. A pretty promenade borders the beach and with its shops, bars and cafes, you are never far from sustenance. With good accommodation in the resort, our cheap Altea holidays are considered great value. Restaurants serve everything from traditional fish dishes, to fast foods and international cuisine, thus catering for all palates. Shopping adequately covers all your needs and there are some delightful gift and craft shops in the narrow, winding streets of the old town. Altea nightlife is as relaxed as it is by day and the contrast with its gregarious neighbour, Benidorm, could not be greater. Those wishing to experience the excesses of Benidorm can take a short taxi ride. If you are seeking respite from our uncertain weather, you may be interested in our low cost Altea holidays where the sun is guaranteed to shine. Altea holidays can be as active or as laid back as you wish as there is a wide choice of recreational activities and tourist attractions in the area. For further details, and to discover our best Altea holiday deals, please use the search facility.